In the battle between true love and giant monsters it is giant monsters that win out with the 2014 version of Godzilla being our Recommendation of the Week. New Release: Godzilla – (Blu-ray, DVD and Instant) The Fault in Our Stars – (Blu-ray, DVD and Instant) Think Like a Man Too – (Blu-ray, DVD and Instant) Casting By – (DVD) Burt’s Buzz – (Blu-ray, DVD and Instant) Re-Release: Ghostbusters I(1984) & II(1989) [4K remastered]– (Blu-ray Combo Pack) Eraserhead (1977) – (Criterion Blu-ray) Godzilla – (Blu-ray, DVD and Instant) *Recommendation of the Week* Directed by Gareth Edwards Written by Max Borenstein (screenplay), Dave Callaham (story) Starring: Aaron Taylor-Johnson, Elizabeth Olsen, Bryan Cranston Godzilla (2014) is the modern re-telling of the cinematic epic. As the world faces a great peril, the legendary monster might be humanity's only hope. Released to mostly-positive reviews, Godzilla was plagued by a lack of the titular monster and Breaking Bad star Bryan Cranston. 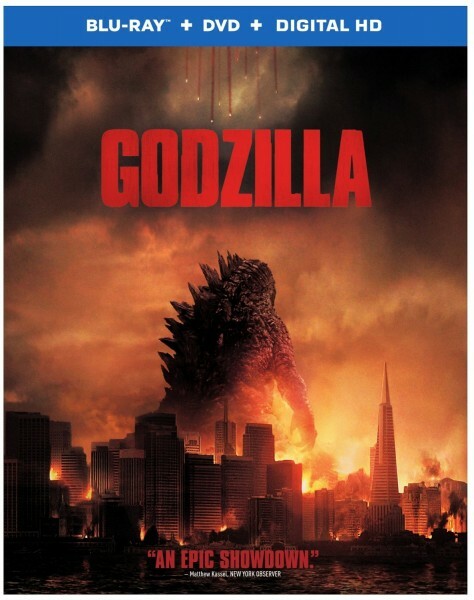 Critics Rating (Rotten Tomatoes): 73% (Good) Metacritic: 62 (Good) IMDB: 6.8 (Good) Entertainment Fuse: 8/10 (Read our Review) DISC DETAILS Special Features: Monarch Declassified: Three Faux short films behind the story of Godzilla; The Legendary Godzilla: Four behind-the-scenes featurettes Amazon: $19.99 (Blu-ray); $16.99 (DVD); $3.99/$14.99 (Instant Rent/ Buy) Score (DVDTalk.com): Content: 3.5 stars(out of 5); Video: 4.5 stars; Audio: 5 stars; Extras: 2 stars; Replay: 2.5 stars. Rent It. 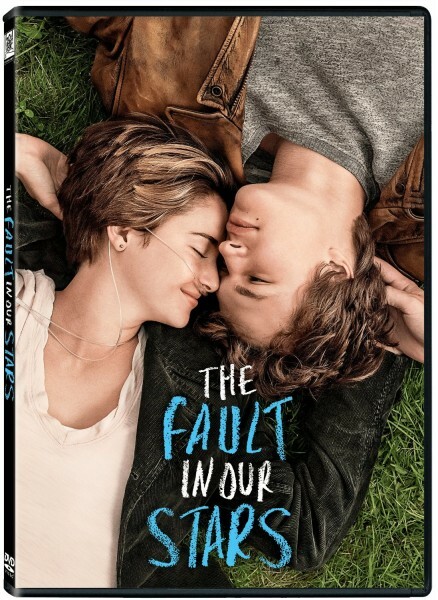 The Fault in Our Stars – (Blu-ray, DVD and Instant) Directed by Josh Boone Written by Scott Neustadter (screenplay), Michael H. Weber (screenplay), and John Green (novel) Starring: Shailene Woodley, Ansel Elgort, Nat Wolff Adapted from the best-selling novel of the same name, The Fault in Our Stars is an unconventional look into being in love. Two witty and sarcastic teens meet while attending a cancer survivor support group, and their love evolves from there. One of the stronger YA adaptations in recent memory, The Fault in Our Stars is every bit as funny as it is an honest portrayal of being alive and in love. Critics Rating (Rotten Tomatoes): 80% (Very Good) Metacritic: 69 (Good) IMDB: 8.2 (Excellent) Entertainment Fuse: 9.2/10 (Read our Review) DISC DETAILS Amazon: $22.99 (Blu-ray); $14.99 (DVD); $12.99 (Instant Buy) Think Like a Man Too – (Blu-ray, DVD and Instant) Directed by Tim Story Written by Keith Merryman (screenplay), David A. Newman (screenplay). And Steve Harvey (book) Starring: Kevin Hart, Gabrielle Union, Wendi McLendon-Covey The couples are back for more wacky and zany adventures; only this time in legendary Las Vegas. 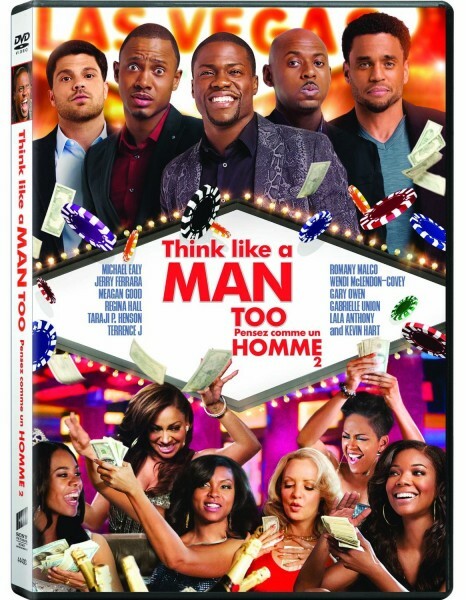 In town for a wedding, their antics threaten to derail the event and “ruin” their lives. Critics Rating (Rotten Tomatoes): 25% (Awful) Metacritic: 38 (Awful) IMDB: 5.6 (Bad) DISC DETAILS Amazon: $19.99 (Blu-ray); $16.99 (DVD); $4.99/$14.99 (Instant Rent/ Buy) Casting By – (DVD) Directed by Tim Donahue Starring: Jeff Bridges, Robert De Niro, Robert Duvall Celebrating the often-unknown heroes of Hollywood, the Casting Director, Casting By is an in-depth look at the influence these people have had on all of our lives. Featuring interviews, animation and archival footage, Casting By is a celebration of these unsung masterminds. 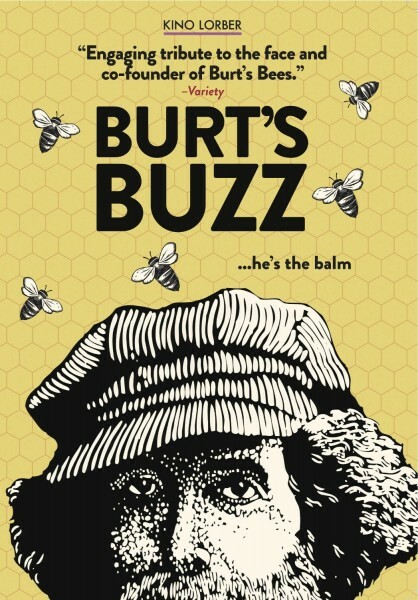 Critics Rating (Rotten Tomatoes): 93% (Excellent) Metacritic: 70 (Very Good) IMDB: 7.6 (Very Good) DISC DETAILS Amazon: $24.95 (DVD) Burt’s Buzz – (Blu-ray, DVD and Instant) Directed by Jodie Shapiro Starring: Burt Shavitz Burt’s Buzz is an intimate portrait of the man who co-founded the massively successful Burt's Bees franchise. 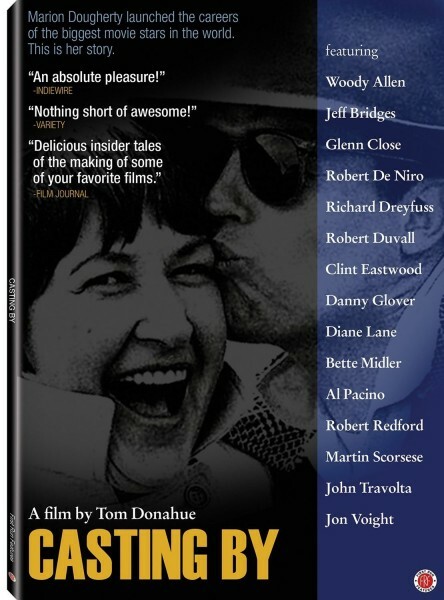 Critics Rating (Rotten Tomatoes): 70% (Good) Metacritic: 49 (Bad) IMDB: 7.1 (Very Good) DISC DETAILS Special Features: Three educational shorts featuring Isabella Rosellini explaining the inner-workings of a beehive; Trailer Amazon: $19.99 (Blu-ray); $12.78 (DVD); $3.99/$9.99 (Instant Rent/ Buy) Score (DVDTalk.com): Content: 2.5 stars(out of 5); Video: 3.5 stars; Audio: 3.5 stars; Extras: 3 stars; Replay: 2 stars. Rent It. 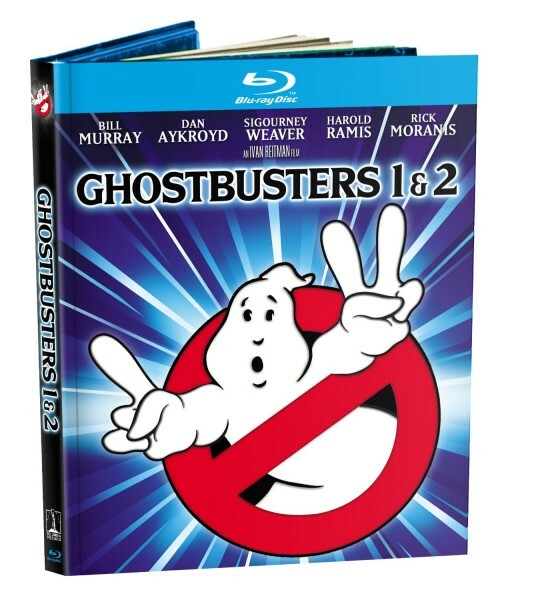 Re-Release: Ghostbusters I(1984) & II(1989) [4K remastered]– (Blu-ray Combo Pack) Directed by Ivan Reitman Written by Harold Ramis (characters and written by), Dan Aykroyd (characters and written by) and Rick Moranis (uncredited) Starring: Harold Ramis, Dan Aykroyd, Bill Murray, Ernie Hudson The 1980's hit comedy Ghostbusters just celebrated its 30 year anniversary, and is being given a 4K makeover, along with its sequel. Critics Rating (Rotten Tomatoes): 97/51% (Excellent/Rotten) Metacritic: 67/56 (Good/Okay) IMDB: 7.8/6.5 (Very Good/Good) Entertainment Fuse: 9.3/10 & 8/10 DISC DETAILS Amazon: $18.39 (Blu-ray Combo Pack) Eraserhead (1977) – (Criterion Blu-ray) Directed and written by David Lynch Starring: Jack Nance, Charlotte Stewart, Allen Joseph Marking the beginning of David Lynch's storied career, Eraserhead is the surreal and bizarre story of Henry Spencer (Nance). Living in a dystopian urban hell-scape, Spencer goes about the unusual activities of his day to a wholly unnerving soundtrack. Part surrealist art film, part horror, Lynch's work is reserved for the cinematically open-minded. 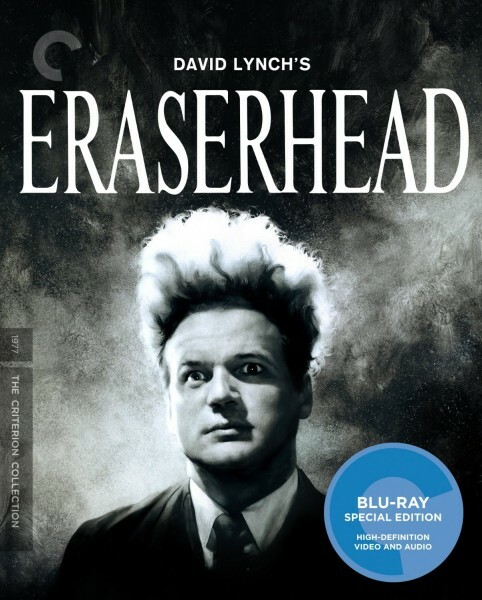 Critics Rating (Rotten Tomatoes): 91% (Excellent) IMDB: 7.4 (Very Good) Entertainment Fuse: 9/10 DISC DETAILS Special Features:4K digital restoration, supervised by director David Lynch, with uncompressed stereo soundtrack on the Blu-ray;“Eraserhead” Stories, a 2001 documentary by Lynch on the making of the film; New 2K digital restorations of six short films by Lynch: Six Men Getting Sick (1967), The Alphabet (1968), The Grandmother (1970), The Amputee, Version 1 and Version 2 (1974), and Premonitions Following an Evil Deed (1995), all with video introductions by Lynch; New documentary featuring interviews with actors Charlotte Stewart and Judith Roberts, assistant to the director Catherine Coulson, and cinematographer Frederick Elmes; Archival interviews with Lynch and members of the cast and crew; Trailer; PLUS: A booklet featuring an interview with Lynch from filmmaker and writer Chris Rodley’s 1997 book Lynch on Lynch Amazon: $33.96 (Blu-ray Combo Pack) Score (DVDTalk.com): Content: 4 stars(out of 5); Video: 5 stars; Audio: 5 stars; Extras: 4.5 stars; Replay: 3 stars. Highly Recommended.